On the 1st of december 2018, the kunstform Stock Session 2018 will take place again at our shop in Stuttgart. This year the session will start again like last year at 3pm - 6pm at the "Pragfriedhof" in Stuttgart, where you can win "Voucher for Tricks" whether if you're a kid, rookie, amateur or pro! From 6p.m. - 10p.m. 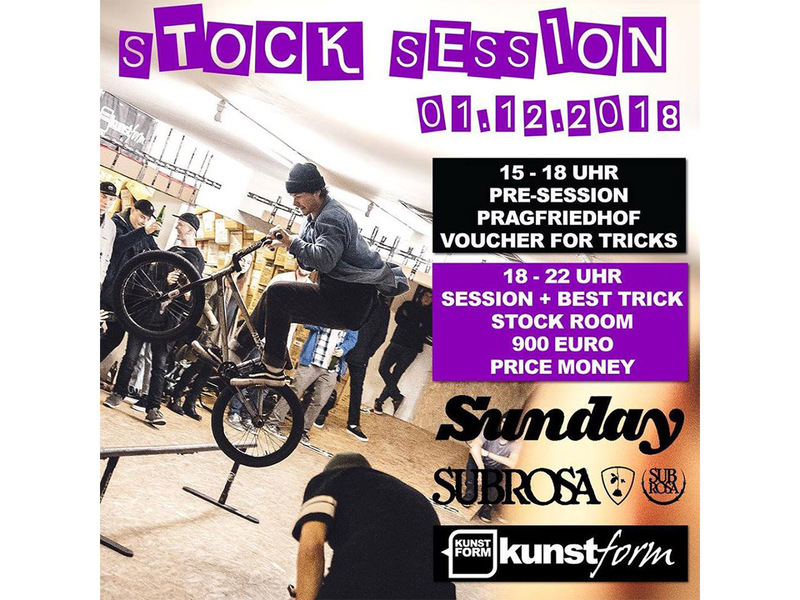 the session will take place at the kunstform stock room where you can ride different obstacles like a Subrosastreetrail, wallride, bank and ledge where you have the chance to win some prize money of 900€. If you prefer BMX flatland, we will host a BMX Flatland Best Trick contest with 300€ prize money, as well, which will take place from 3pm - 6pm at our stock room.